I know a lot of us in this first week of our Paleo Challenge have had a lot of questions about what exactly Paleo food is…. “Can I eat this… is this Paleo” “Are nuts a protein?” “Can we have some grains?” etc….. The Paleo Diet Plan – An Overview – The Paleo or Paleolithic Diet is basically raw unprocessed low carbohydrate foods. This includes fresh fruits, vegetables, grains and a big no to cereals and diary products. The first principle is to eat a lot of produce, mainly vegetables. The glycemic index and glycemic load of carbohydrates consumed should be in low quantities. The fat intake should have maximum content of omega 3 fatty acids. The exposure to potentially allergenic foods should be limited. 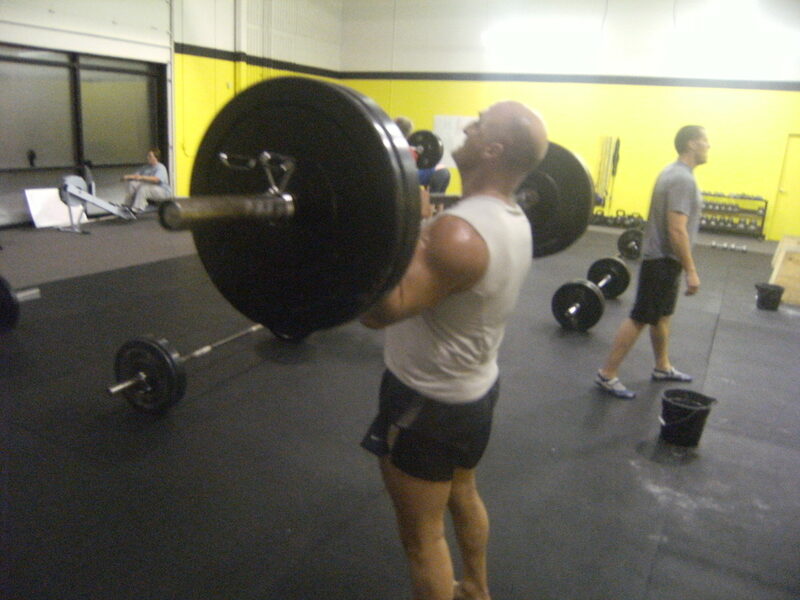 The consumption of calories should be proportionate to the level of activity. As much as possible try to eat fruits that does not contain much sugar. The Berries that are rich sources of antioxidants are a perfect example of Paleo diet. Moreover, as the food is stored for a longer period the potency of anti-oxidants is reduced. Hence it is preferred to eat fresh foods that are free of preservatives. At the same time vegetables can be taken in semi cooked fashion. Raw vegetables can be taken in the form of salads. The steamed vegetables such as green beans, broccoli, zucchini and carrots can be made tastier with natural dressing like a dash of lime, onions and fresh basil leaves. Carbohydrate rich foods such as bread, rice, pasta, and potatoes are a big no in Paleo Diet. You all rocked it this first week, keep up the great work!!!! 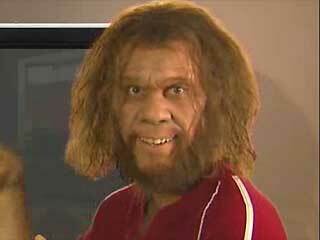 Paleo - It's so easy even a Caveman can do it!!!! Our new Tee’s are finally in! 50/50 Combined Cotton and Polyester made by American Apparrel. 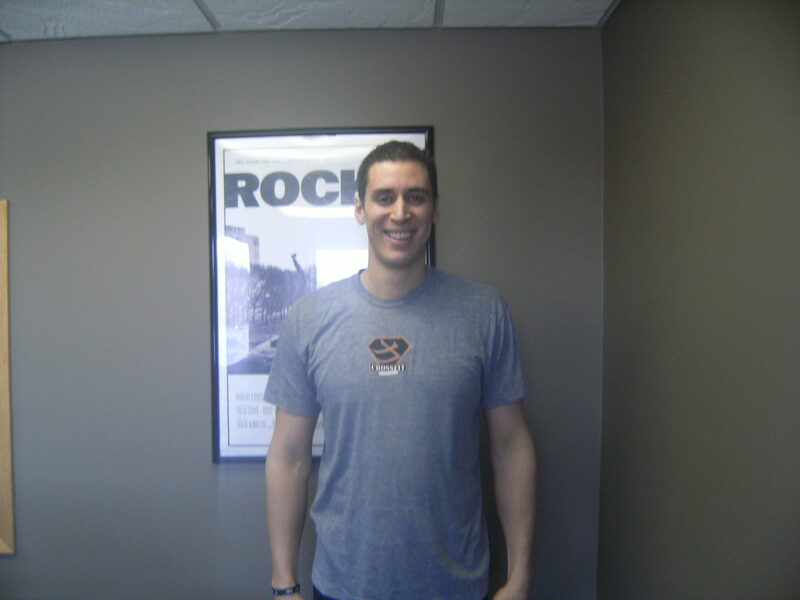 These high quality, athletic fitting shirts are probably the most comfortable T-Shirts on the Planet. *All prices are the total with tax already included. 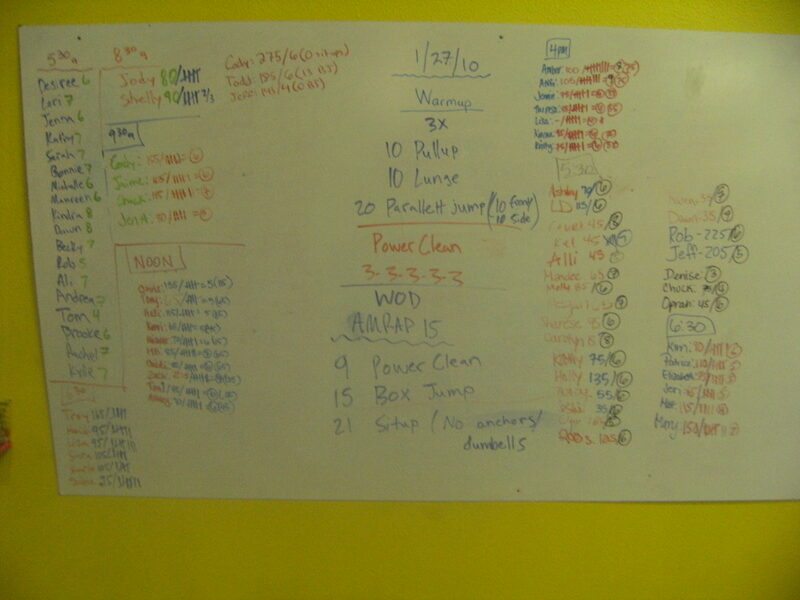 New Classes in Feb…Power 1/2 Hr WOD! 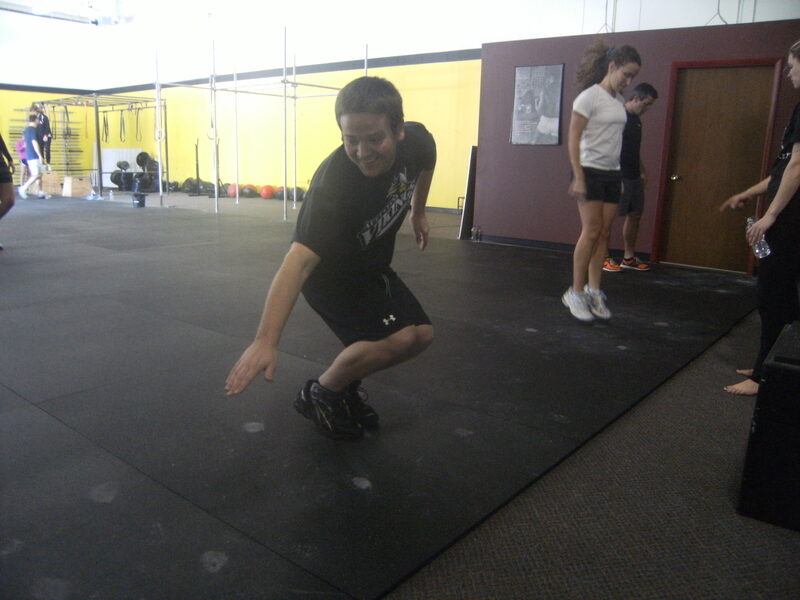 This class will run right before the noon class from 11:30 to Noon. Doors will be open at 11:25a. It is updated on our CLASS SCHEDULE. Reserve your spot now! 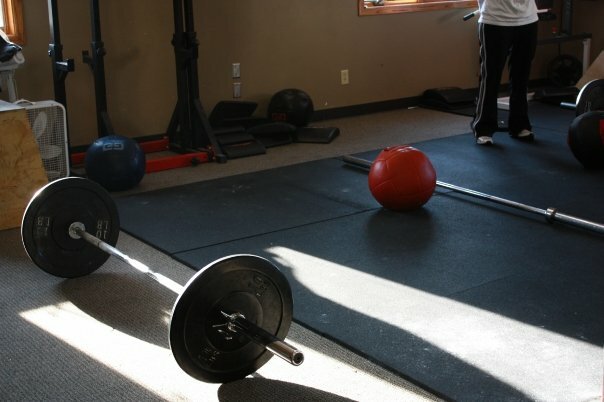 Here is some equipment to get your mind flowing! 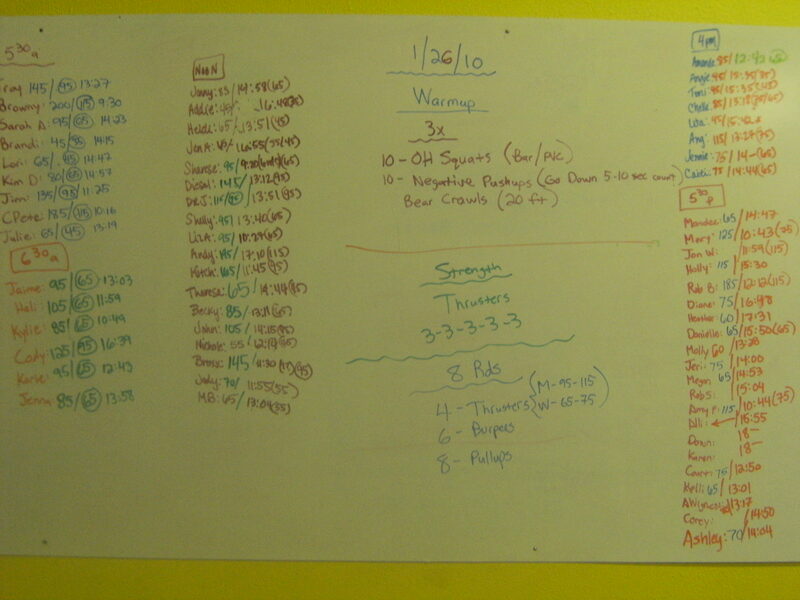 Everyday we come into CrossFit thinking “I wonder what we are going to do for a WOD today”?? We all have thoughts in our head of what we hope is not on the board, and what we wish would be up there. 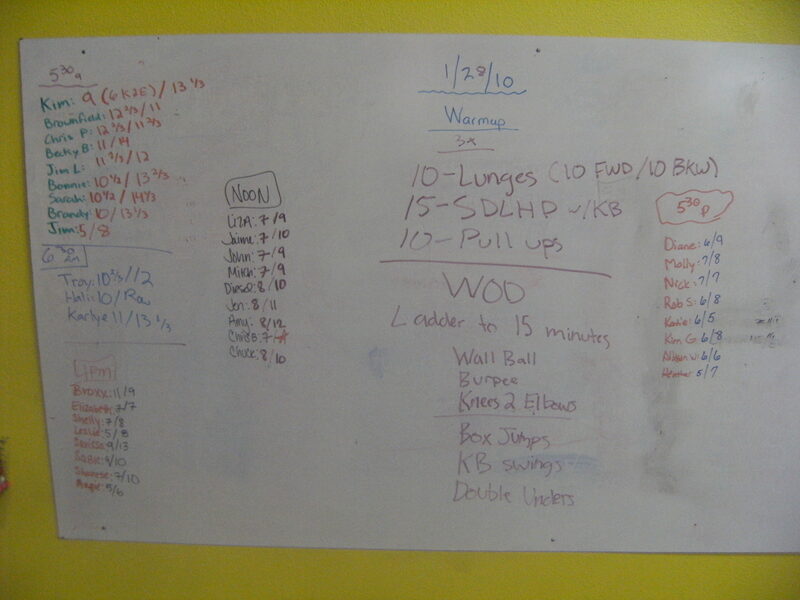 I know a lot of you wonder how we come up with these crazy sometime outrageous WODs….and I am sure you say to yourself “I wish I could create my favorite WOD”; well here is your chance! 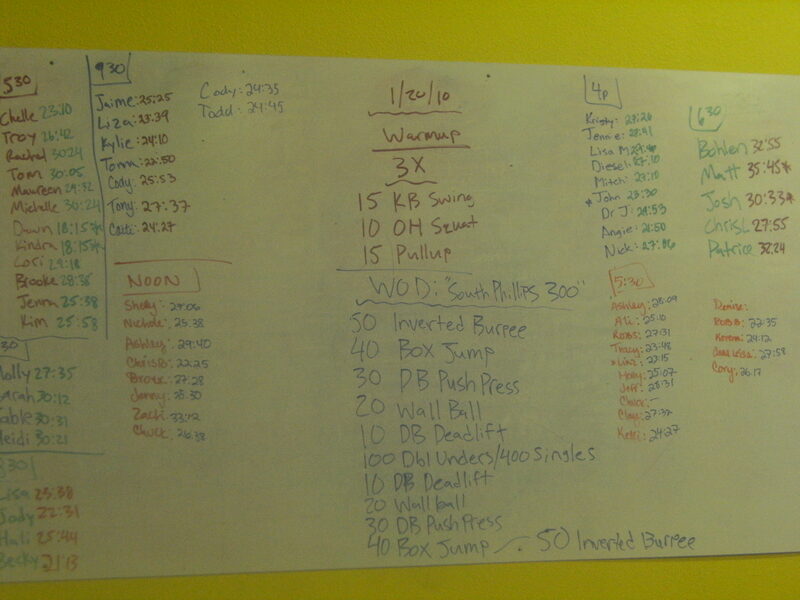 Today we are going to have you “CrossFitters” create a WOD of your choice! We will save these and use them throughout the weeks ahead. 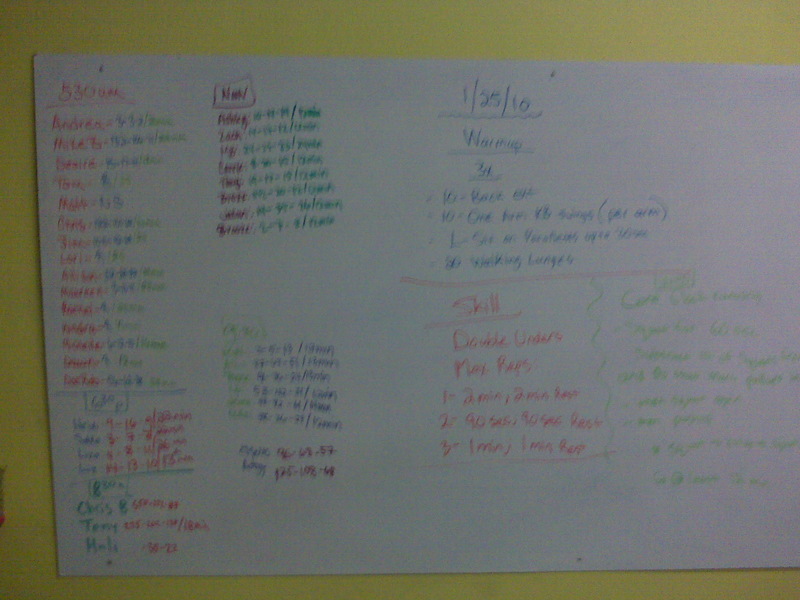 We will title each workout we choose with the CrossFitter that created it. 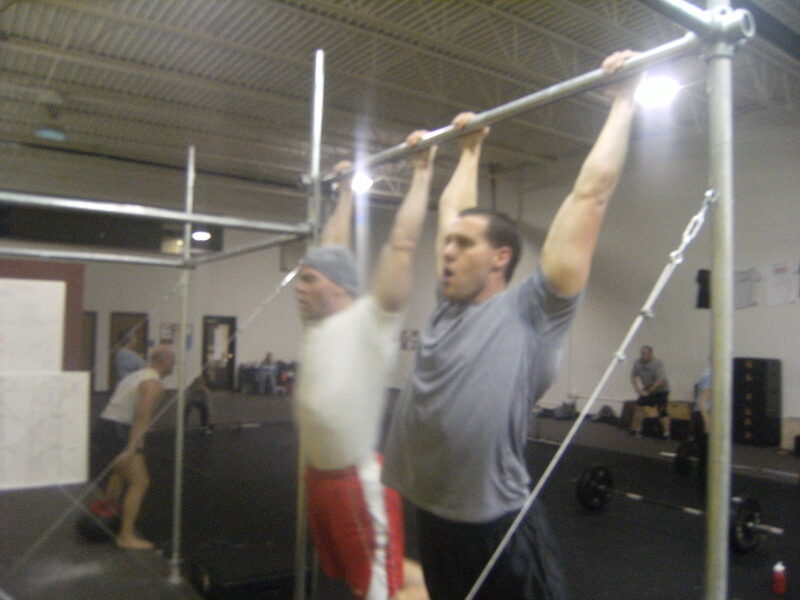 Here is your chance CrossFitters to make your WOD heard 3…2….1… GO!!!!!!!!!! This week’s AOW is Courtney Mydland! Courtney has been with CFSF for just over 3 months and we have seen some great progress with her strength and conditioning. Everyday Court works hard, has a positive attitude, and really raises the level of intensity in each classes she attends. Thank you Court for all you bring to this awesome community. We appreciate you. 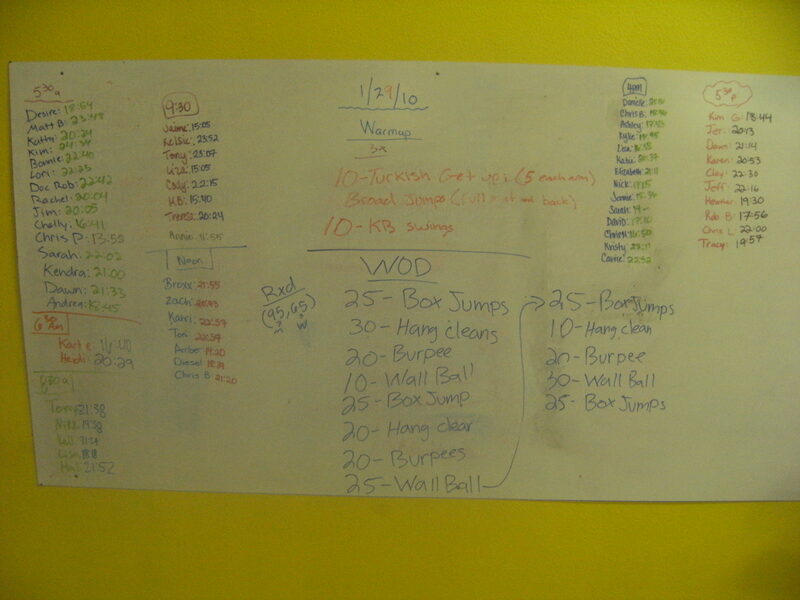 We appreciate you so much I promise you there is no “wall balls” in today’s WOD just for you. Post some love to Court in the comments and on FB.